The Pandy Candy Bar is the first bar style protein snack from the Swedish functional food company Pandy. The brand confidently gave the product the straightforward name Candy Bar, as it says it’s “too delicious to be called a protein bar”. Pandy does make plenty of other enjoyable protein snacks, so it’s confidence isn’t misplaced. The Pandy Candy Bar is certainly on the lighter side of things, as instead of packing the usual 20g of protein per bar, it has a little over half of that at 12g. Its other major nutrition numbers are equally light with around 12g of carbohydrates, less than 2g of sugar, about 5g of fat, and a calorie count of 130. The Pandy Candy Bar is actually far better than we could have expected. Despite being significantly smaller than your typical protein bar, weighing in at just 35g, it packs a tremendous amount of flavor. Its body and structure are similar to Barebells protein bar, however the experiences you get from each of the flavors are something else. Each Pandy Candy Bar features a relatively chewy but smooth body, topped with an incredibly delicious gooey layer and wrapped in a sweet, hard chocolate outer. The product comes in three flavors with Strawberry White Chocolate, Caramel Sea Salt, and Nougat Hazelnut, which are all more enjoyable than almost every other protein bar we’ve tried. 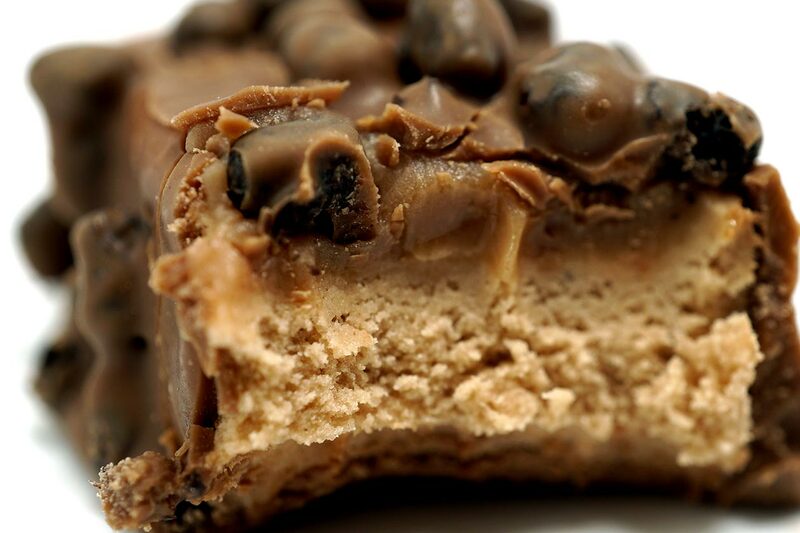 Typically we rank protein bar flavors and highlight the ones we liked the least and the most, although on this occasion, all of the Pandy Candy Bars are equally impressive. 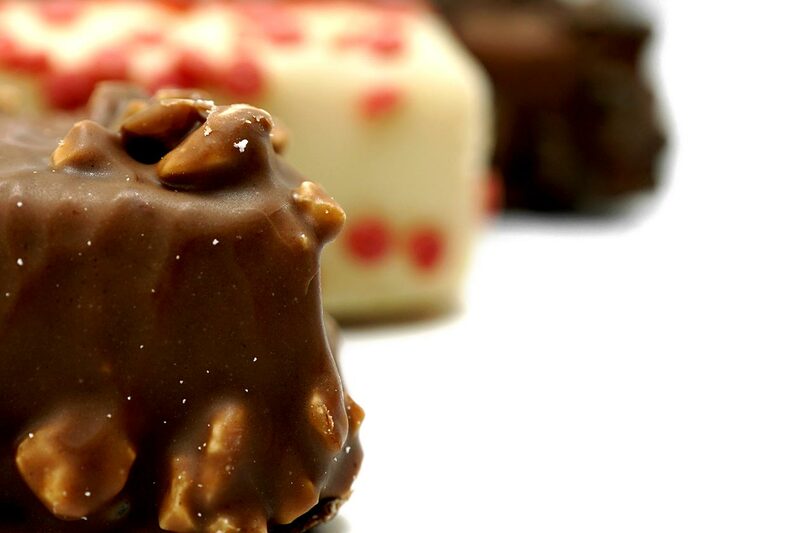 The Caramel Sea Salt doesn’t hold its flavor as long as the others, however it packs a very strong, salty caramel taste that hits you right from the first bite. It is also covered in crispy pieces that create a unique experience both flavor and consistency wise. The next Pandy Candy Bar flavor is Strawberry White Chocolate which is one of the best mixes of strawberry and white chocolate we’ve ever had. The brand nails the strawberry so well that you can smell its sweetness before you even take a bite. While it does seem a little chewier than the others and doesn’t have an overly noticeable white chocolate taste, the unforgettable strawberry more than makes up for that. Lastly, we have the Nougat Hazelnut Pandy Candy Bar that is about as close to a Ferrero Rocher as you could probably get. It combines a sweet milk chocolate flavor with a not-so-salty caramel compared to the Caramel Sea Salt, and a subtle but very obvious nutty taste that fits in perfectly with the other tastes. Simply put, the Pandy Candy Bar does its name justice and is exactly what the brand advertises. It is a protein snack that tastes so good it shouldn’t be classed as a protein bar. We’d even go as far as saying that its taste is as close to a real sugar loaded candy bar as it is to a typical protein bar. While the Pandy Candy Bar’s consistency isn’t anything game-changing, the flavors the Sweden based brand have packed into this one are truly unforgettable, and go beyond almost all of its competition. 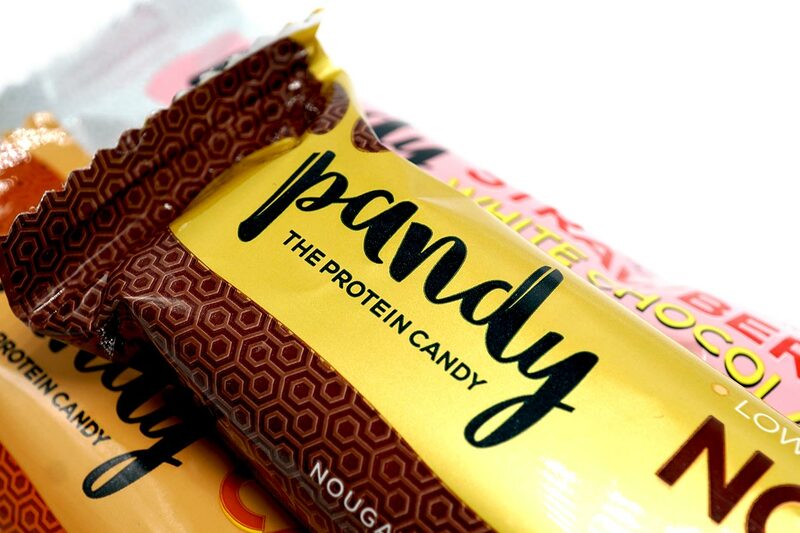 Basically, if you’re looking for a candy bar like protein bar, that is actually like a candy bar, then definitely pick up Pandy’s latest release. Head over to Stack3d for supplement reviews and more.